Trade speculation about the Bulls and Celtics isn't going away for several reasons. The Celtics own attractive assets for a team seeking a full rebuild. The Bulls have a superstar with experience guarding LeBron James in the postseason. And the teams engaged in serious talks in June that centered on Jimmy Butler. The issue, at least as of Monday, is that the speculation is based more on assumed fit than reality. Plenty can happen before Thursday's 2 p.m. trade deadline, but according to multiple sources, the Bulls and Celtics haven't held substantive talks about Butler since June, and Butler's camp is under the impression that the Bulls won't move the three-time All-Star this week. "I can't worry about that. It don't bother or scare me none. 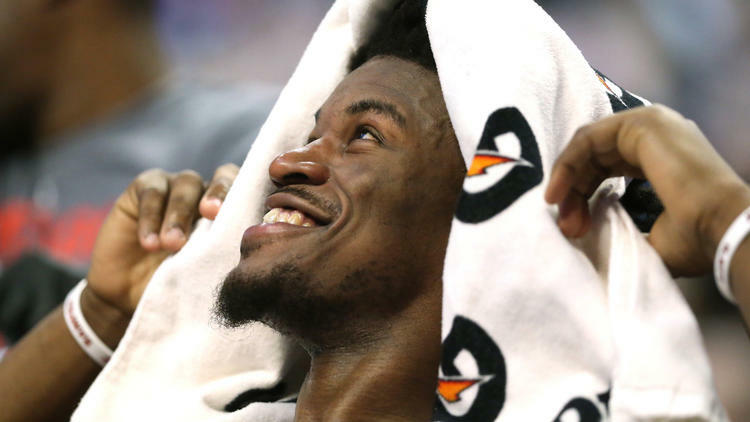 I'll be OK," Butler told reporters in New Orleans late Sunday after the All-Star Game. "Not saying I'm untradable, but I don't think about that. Hopefully, I'm not going to get traded, but I don't control that." The Kings' surprising about-face and subsequent trade of DeMarcus Cousins to the Pelicans added fuel to the Butler speculation: With the short-term implications of the Kings likely worsening and thus not ceding their top-10-protected first-round pick to the Bulls, might the Bulls more aggressively pursue first-round picks elsewhere? The more pertinent takeaway from the Kings' decision to cut bait with Cousins is the wariness to pay such a volatile star the $200 million-plus extension he likely would have earned from the designated player exception in the new bargaining agreement. Butler also could command such a price tag on his extension, a wrinkle that didn't exist in June. And even then, at least one of the Bulls' four principal decision-makers advocated for a full rebuild. Of course, even if the Bulls were to reach an organizational consensus on trading Butler before Thursday, it takes two to tango. And league sources indicated the Celtics have been underwhelmed by all preliminary offers for their main future assets — the Nets' 2017 and 2018 first-round picks. The former could be the top pick in a strong draft. Butler consistently has said he wants to remain a Bull. Management never has publicly committed to Butler, although Kings general manager Vlade Divac did so to Cousins and then promptly traded him for less than market value. What Bulls GM Gar Forman has stated publicly is his desire to remain competitive as he attempts to make the roster younger and more athletic. Trading Butler would fly in the face of both goals. It also would strongly point to Dwyane Wade declining his player option for next season, robbing the Bulls of their best recruiter come free agency. Where the Bulls have been aggressive, sources said, is in shopping Nikola Mirotic. The Clippers are one possible destination, although Mirotic's status as a restricted free agent this summer limits the return value. The Los Angeles Lakers weren’t willing to part ways with rookie Brandon Ingram to make a trade with the Sacramento Kings for DeMarcus Cousins. In the aftermath of Cousins trade talks breaking down, the Lakers may have turned their attention to trying to acquire Jimmy Butler of the Chicago Bulls. Currently, Adamle is the only one reporting this trade rumor. Butler has been linked to the Lakers in the past, and the Bulls have been going back and forth on whether their star is available leading up to Thursday’s deadline. If Butler is available and can be had for the trade package mentioned, it would be hard to argue the deal shouldn’t be made immediately. Butler would be a massive upgrade for the Lakers and would bring in the star player the team has sorely been lacking since Kobe Bryant’s departure last April. Over the next few days, there’s bound to be more trade rumors that surface involving the Lakers as the team appears to be as active as anyone in the league right now. 0 Response to "Jimmy Butler's camp under the impression Bulls won't trade him before deadline"